Downtown Albany Location NOW OPEN! All grilled sandwiches served with your choice of potato salad, macaroni salad or coleslaw. **Indicates those sandwiches served with french fries. Corned beef, Swiss cheese, sauerkraut and russian dressing on grilled rye bread. Pastrami, Swiss cheese, sauerkraut and russian dressing on grilled rye bread. Turkey, Swiss cheese, coleslaw and russian dressing on grilled rye bread. Roast beef, Swiss cheese, coleslaw and russian dressing on grilled rye bread. Served on your choice of bread. Ham and Swiss cheese on your choice of bread. Tuna salad with melted Swiss cheese and grilled tomato on your choice of bread. Grilled strips of chicken with sauteed onions, Mediterranean spices and hummus in a wrap. Grilled beef with sauteed onions, Mediterranean spices and hummus in a wrap. Shaved ribeye steak with sauteed onions and American cheese served on a ciabatta or wrap. Shaved ribeye steak with sauteed onions and portabella mushrooms topped with American cheese and barbeque sauce served on a ciabatta or wrap. Tuna salad grilled and topped with grilled tomato, grilled onion and melted brie cheese on your choice of bread. Roasted turkey, grilled tomato, mayonnaise and cheddar cheese on your choice of bread. With mustard, Swiss cheese and coleslaw on grilled rye bread. On your choice of bread. Topped with pesto, fried eggplant and melted cheese on your choice of bread. Served with hummus, israeli salad and fries. 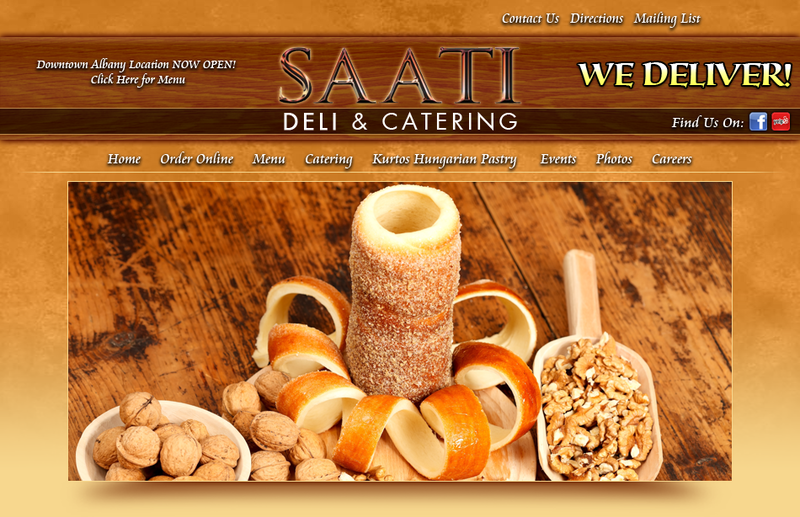 Copyright © 2019 Saati Deli and Catering. All Rights Reserved.